A very short trip to Marbella, the South of Spain. We showcased Fijian dance and song to members of the Framesoft Company giving them a taste of Fiji. A special thanks to the Founders of Framesoft, Toralf, his wife Silke and their son Alexander who treated us so well during our stay. VOU School in Nadi threw one of its biggest concerts yet. Hoping for an audience of nearly 200, we quickly sparked the interest of the west bringing in a whole lot more of people who marvelled at the tremendous talent showed that night! VOU’s Hip-hop squad IYOO took part in the Epeli Hau’ofa Dance competition at USP and won first place. We were up against many talented dancers from around Fiji but managed to scoop first place, thanks to our choreographer in residence Vivian Aue and his team. VOU went New Zealand with Choreographer, Vivian Aue, showcasing a piece called “VU”. They went on to conducting workshops around schools in Auckland before competing in “Grounded” a competition for emerging and established choreographers and dancers. 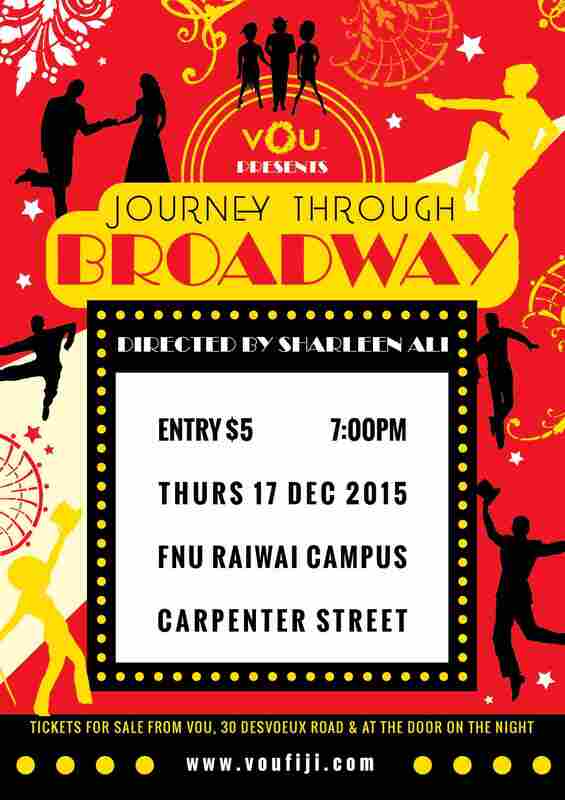 VOU went on some of New Zealand’s established dancers and choreographers, a great but challenging experience. A midst the tours in Europe and Shanghai, three of our dancers paid a visit to Shanghai with one of our valued clients, Rosie Holidays. They were to perform at the VIP Gala Night Dinner at the renown Gran Azzuro Royal Yacht Club. A team of five set out on a tiring journey to Shanghai, China for three long months enduring tiring Performance and Parading schedules. They delivered every performance with excellence getting better every time. A first for VOU. This had to be the most travelled we’ve been going to places like England, Slovenia, Lithuania, Latvia, France and Scotland. A hectic trip full of airport mishaps and beautiful moments shared on and off stage. 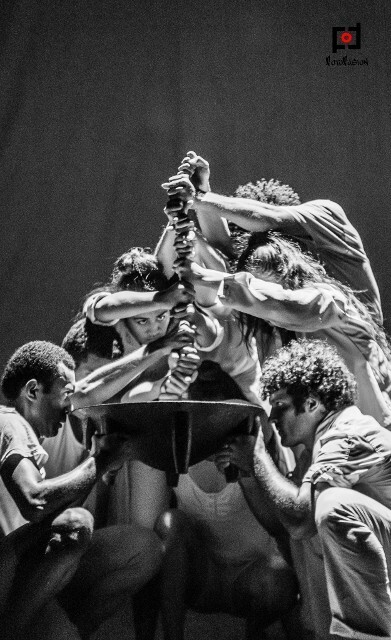 This was also the trip we won the Sustainable Practice Award from the Edinburgh Fringe Festival, with the piece, “Are We Stronger than Winston?” choreographed by 21 year old Navi Fong. The piece was dedicated to all victims of the devastating Cyclone Winston that hit Fiji earlier in the year. This time we also remember Fiji’s first Gold medal at the Rio Olympics. A winning year for a resilient country like Fiji. This is an event that we will always treasure, being able to collaborate with other pacific island artists, and being able to witness the diversity of the Pacific was truly amazing. A rare event where all Pacific Island countries and cultures met at one place. A vivacious place to be. In October 2015, VOU travelled to Beijing, China in partnership with Rosie Holidays to extend the beautiful Bula smiles of Fiji. We were also very fortunate to go to one of the seven wonders of the world, The Great Wall. 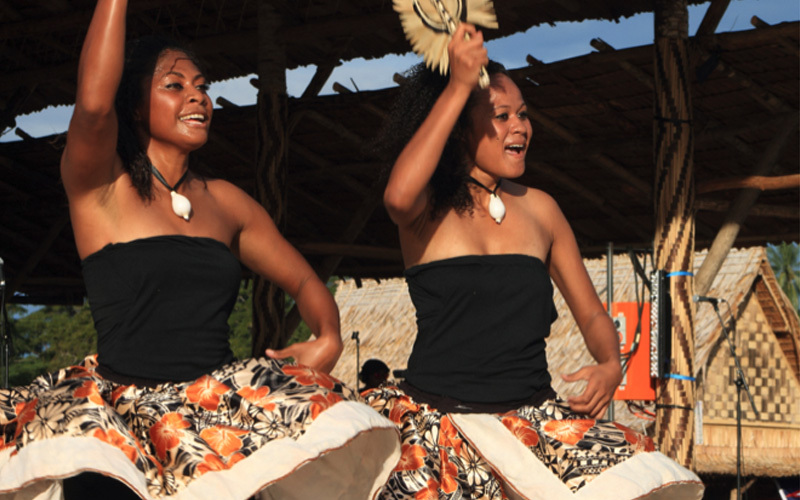 VOU opens the first dance school in Nadi, led by choreographer Gina Janus, who rallies a lovely vibrant and growing dance community around the school. By the final term of 2014 there are 100 students in the VOU Nadi School. VOU represents Fiji at the Melanesian Arts Festival in Papua New Guinea. They are surrounded by vibrant culture and absorb the pride in being a part of the Melanesian family. They perform to thousands around Port Moresby and even travel to Alotau. VOU tours to Canada where dancers first participate in “Pulling together” where we paddled for 9 days along traditional voyaging routes alongside the First Nation People of Canada and Indigenous people from around the world. After this VOU performed at the Mission Folk festival and the Surry Fusion Festival and featured on CBS national TV and Radio. 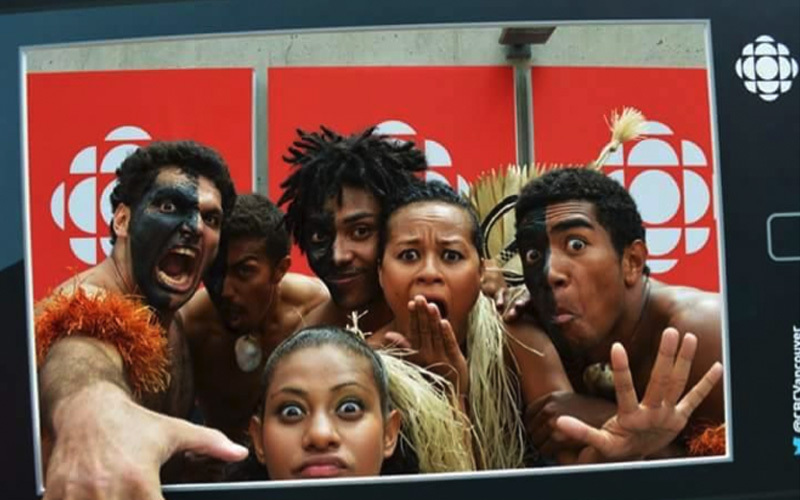 VOU sends Fiji’s FIRST EVER Hip-hop crew to the World Hip-Hop Championships in Las Vegas. They score well and gain so much experience and exposure on the world Hip hop scene. 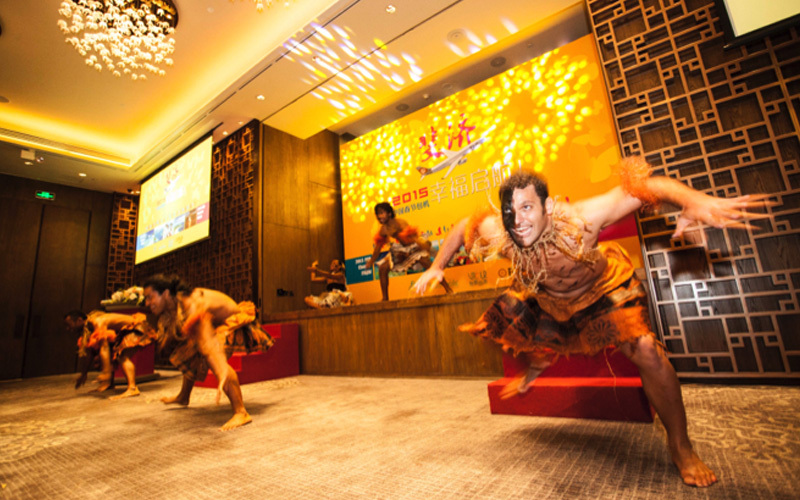 With help from our friends at Rosie Holidays, VOU travels to China to perform for the launch of direct chartered flights from main land China to Fiji, opening up the biggest new emerging tourism market to our shores. 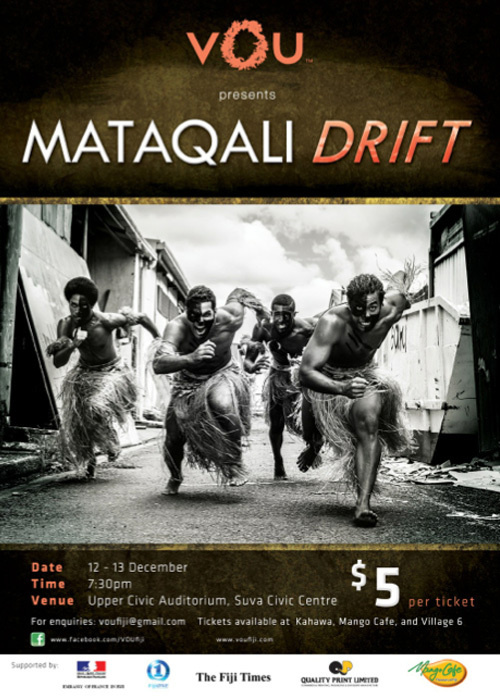 Mataqali Drift is staged in full length at the Tempo Festival in Auckland. Nai Bati ni Valu – the Warriors of War. Vodoka na Ua – Riding the Waves, about voyaging and navigation. This is probably the most significant tour that VOU has done, back to the villages of some of the dancers to research and record their traditional chants and dances, so they can be learnt, preserved and passed onto the next generation. No white sand beaches, no sunset cocktails. This is Fiji NOW. After our experience of researching in the villages the dancers came back to reflect on our everyday experience living as urban Fijians in a westernised Pacific. How we balance the two as young artists, this was the genesis and inspiration for the creation of the full-length stage work Mataqali Drift. 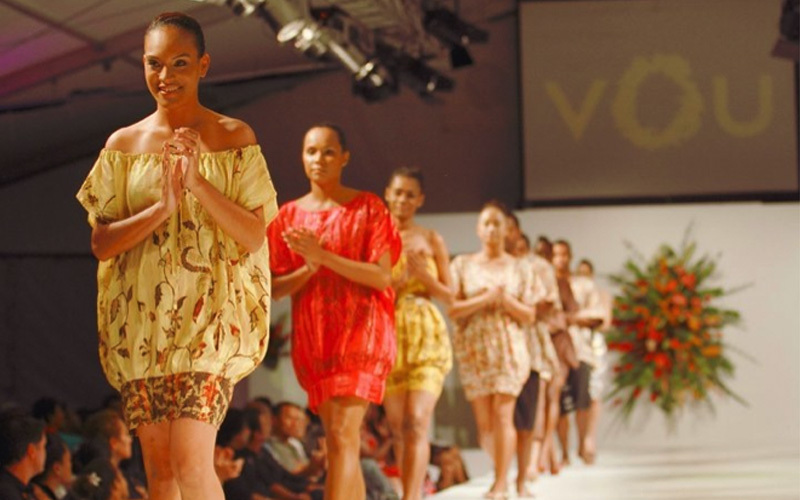 VOU launches its second fashion line designed by Mereia Tuiloma at the Fiji Fashion Week. 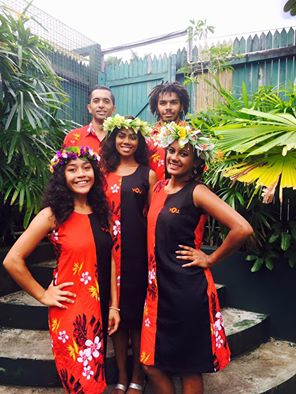 VOU has the honour of representing Fiji at the largest and most prestigious festival in the region, The Pacific Arts Festival in Honiara, Solomon Islands. Fiji’s First reality TV Series Screens on Mai TV. It then goes on to be screened in PNG, Canada and New Zealand. 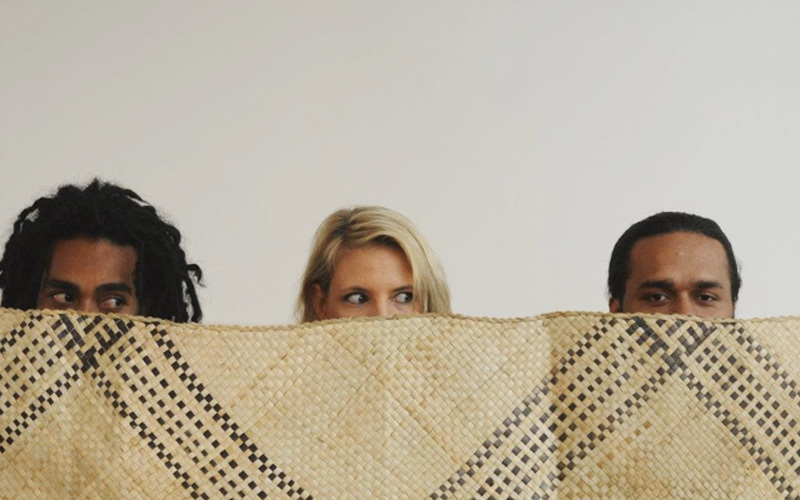 VOU travels to Canberra, the Australian capital, to represent Fiji at Australia’s premiere multi-cultural event, the National Multicultural Festival. VOU travels to New Zealand to work alongside students of the University of Auckland, to teach each other and exchange and prepare performances leading up to the China tour. VOU travels to Nanjing to give workshops at the Nanjing University of Performing Arts and perform a half hour production and also perform alongside students of the University of Auckland. 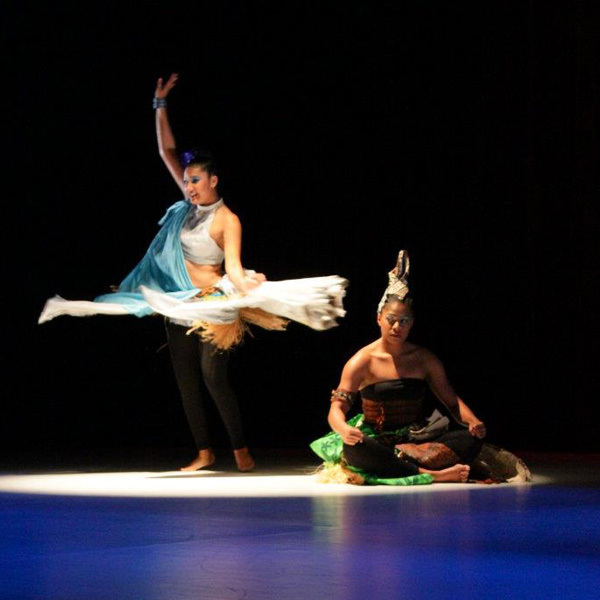 Two dancers Patricia Naisara and Sharleen Ali, are selected to choreograph and perform an original duet titled “Na Lakolako”, it is about the journey of women. 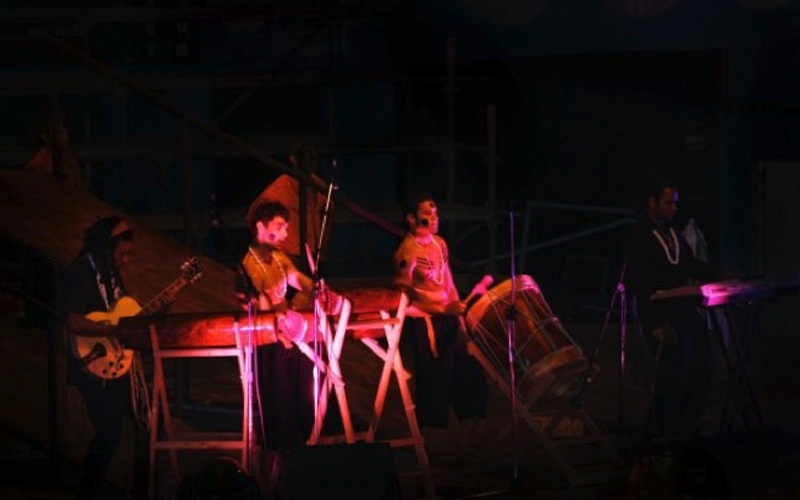 They perform this at the World Dance Alliance Festival in Kuala Lumpur. 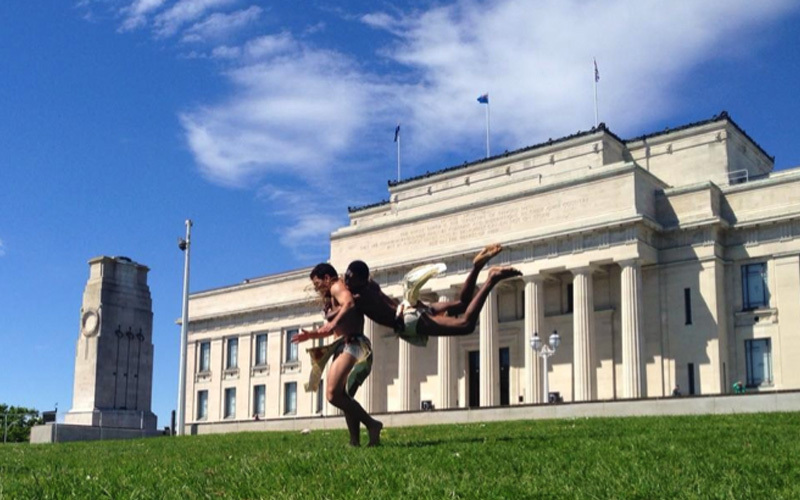 Three dancers are chosen to return to New Zealand to stage an original choreography for a show at the Maidment Theatre. Here they premiere the piece called “na Ibe”, using the symbol of the Fijian woven mat called the Ibe to symbolise the stages of life in Fiji. VOU collaborates with New Zealand Film maker and installation artist Kate Stevenson to create the multi-sensory interactive installation titled “What Am I Doing Here?” As the audience moves through a series of environments, they are constantly forced to question how they relate to others and the world around them. VOU enters the Kula Film Awards with the short Film “The Chase” winning 3rd place. 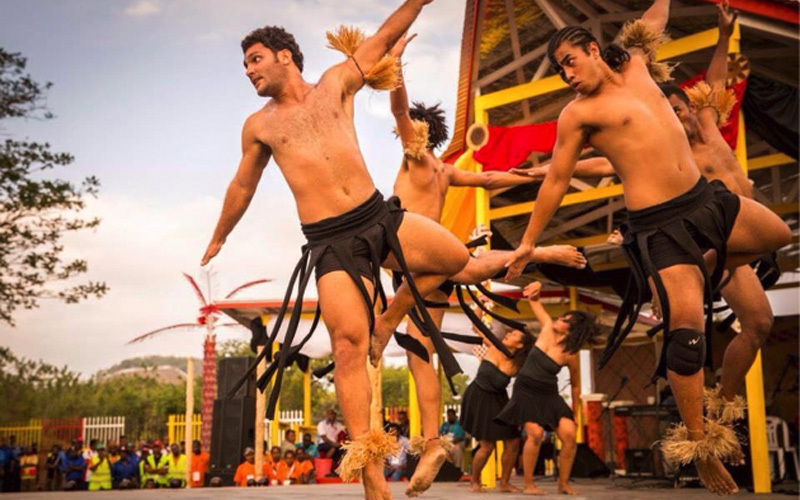 VOU represents Fiji at the Melanesia Festival in New Caledonia. The full length show at the Tjibao center is met with sell out audiences, standing ovations and demands for encore. VOU launches their first fashion collection at Fiji Fashion week. Sachiko represents Fiji at the World Dance Alliance’s AGM hosted by the Hong Kong Academy of Performing Arts in Hong Kong. Recently VOU travelled to Silana Village in Tailevu in order to learn a specific traditional meke from there. We participated in traditional protocol and ceremony and were honoured to document and be bestowed with this treasured traditional knowledge from Tailevu. Last May VOU toured Savusavu! Between performances we also visited the beautiful Nagigi village and the famous salt lake to talk to the village elders and listen to their stories rich in traditional knowledge and wisdom. VOU travelled to Levuka to perform for the 130 year anniversary celebration of Levuka Public School (LPS), Fiji’s oldest school. VOU represented Fiji in the Pacific Youth Festival hosted in Suva, which welcomed over one thousand youth from all round the Pacific. “Meda Lesu Tale” – a piece confronting the horror of climate change. We, as people of the Pacific and the planet, have lost the balance with nature that we once had. We are now overusing and exploiting our land and oceans rather than just using what we need and living in harmony with it. We are being strangled in our own electrical cords and are drowning islands as a consequence. Meda Lesu Tale calls for us to return to our traditional ways of living in harmony with the land and sea. Performed at the opening of the Art Exhibition in Leleuvia Island, Fiji. Elements in harmony, the spirits of earth, air, fire and water call to each other. Dancers in the trees above, the sand, brush and splashing in the ocean – by firelight encapsulates the audience. VOU’s first clip and photo shoot and official launch with performance to invited guests at the Playhouse in Suva. 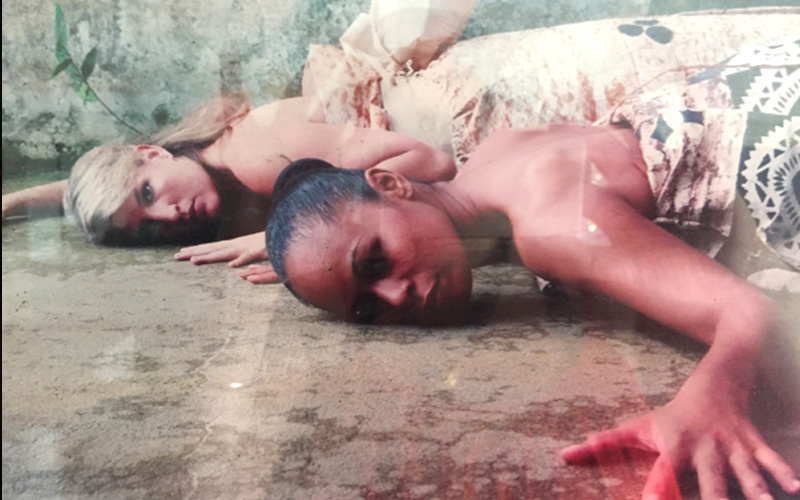 “VOU excerpts” – performed at le Duplix in Pondecherry, India. Some of the VOU dancers are involved in the choreography and contemporary dance section for the Pacific Arts Festival in Pagopago, we also attend Pacific arts development meetings. VOU performs for the opening of the World Dance Alliance’s Global Summit in Brisbane, Australia. 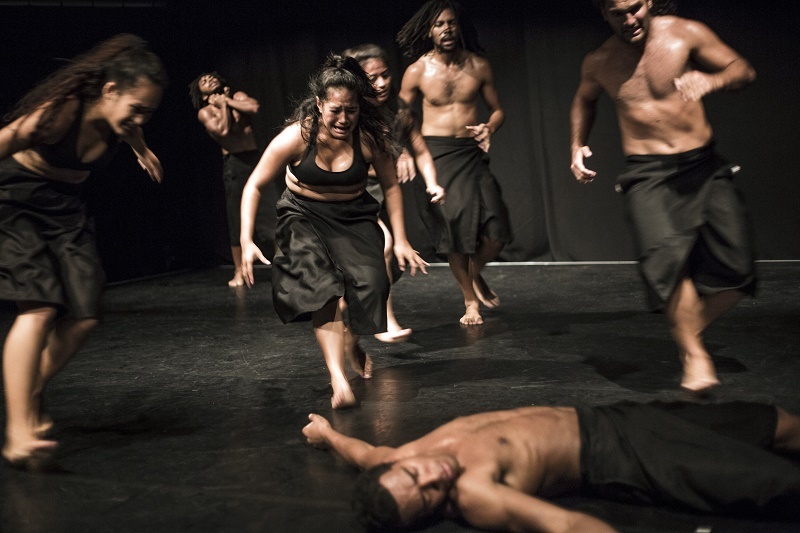 Also for the performative presentation’s Vou performs ‘The evolution of Dance’- An investigation through movement of the evolution from traditional Fijian meke, to modern “Pacific Fusion Dance”. Sachiko and Sinu are guest lecturers at the University of Auckland’s dance department. “Balance” – A production about how to find a balance between traditional values and lifestyle in today’s modern society. The piece was taught to the students of STSI Performing Arts University in Padangpanjang West Sumatra, Indonesia. And then toured to Padang, Indonesia, to be performed in the Teman Budaya International Dance Festival.